We share our research and development strategy with our integration partners: together we will achieve higher goals. We bring back perimeter protection with high security devices as the first, most important pillars of any security system. All with the best possible price/performance ratio. Thanks to TSEC innovative solutions, with high technological content, our partners gain a competitive advantage that allows them to outperform their competitors. All our products are engineered with the support from major system integrators like you. They are built with simplicity and streamlined installation as one of their primary targets. We support system integrators in the search of highly innovative and customized solutions. We become key partners for any project, large or small. VAS-400 and VAS-800 analysis board for passive vibration detectors mutiple independent channels. Configuration software & app for smartphones or tablets. Wsync dongle dongle for wireless configuration of boards compatible with the wsynctm system rj-25 plug. 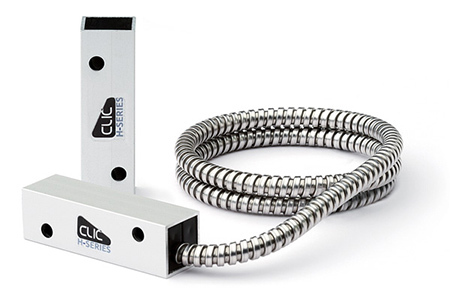 CLV-03 surface mount vibration sensors with high-security magnetic contact. CLH-111 surface mount magnetic contacts. CST-16V quadruple balanced magnetic contacts.